Congrats to me as Monday's victory capped a perfect 4-0 ATS Week! 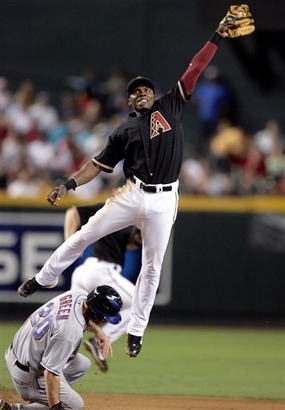 All I want for Christmas is 2nd baseman Orlando Hudson! First-off to the suprising Chicago Southsiders, CONGRATS...I never expected you’d make it this far! Not that I've given you some props, as constant pessimist...what the hell is gonna happen with those old softball sluggers for next year. As a fan of little guys on the diamond, watching Konerko, Thome, Griff, & Swish stumble around the bases is getting harder and harder to watch! GM Kenny Williams needs to make sure we have more cats in the line-up with skinny little legs! As for who I want, with Cabrera gone, Alexei shifting to SS, the 30-year old Hudson would be an absolutely perfect fit a 2B. Somewhat of a late bloomer, the veteran has seen his average raise in the past six season (107 games due to a wrist injury this year - .305/.367ob%) and won a Gold Glove in '06 & '07. As for CF, call me crazy, but a platoon of Jerry Owens & Brian Anderson reminds me of the cinematograph masterpiece Aurora Snow vs. Gauge...extremely underrated and filled with passion! As for what to do with Swish, while it'll be harder than my azz during scene 2 of Aurora Snow vs Gage to trade Konerko or Thome, one of those cats has got to go! Someone tell me how she's not the Sun Belt Mascot! In year’s past with only one game on the ATS docket, regardless of how much knowledge I had available my degenerate-azz would be playing this contest no matter what. And I ain’t gonna lie, after some late night research (in-between a little www.redtube.com) I was already to jump on the Troy St. bandwagon until I ventured to their athletic homepage. For some reason, the fact that the duel-threat So. QB Jamie Hampton is not a brother and is as pale as could be, made me think twice about risking my ridiculous Pigskin Record with more than 60 games to pick from this weekend. J. Hampton made my list of guys I didn't know were white! Just like she seemed like the logical choice to win, Troy seems like the logical favorite. Guess what...she didn't win!? While on paper this appears to be an easy win for Troy, the fact that Florida Atlantic was the experts pick as the conference champ and has struggled out the gate to a 1-4 record means their due…right? 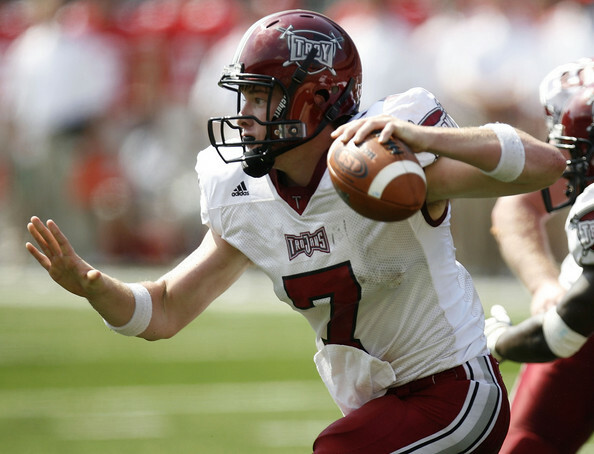 On the flipside, last season Troy’s bowl chances where destroying in their Sun Belt finale at home against FAU, so you have to expect the revenge factor should be off the charts tonight…right? Throw-in the ridiculous schedule thus far and having two weeks to prepare, and I was ready to head to the window last night until that damn picture of Jamie Hampton had me 2nd guessing my pick. Suprisingly, Rusty Smith hasn't had too many celebrations this season...does that change tonight? 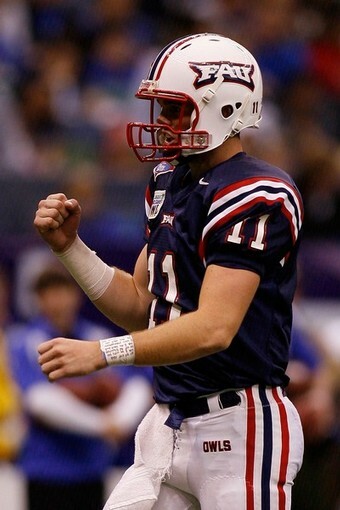 As for Owls optimism this season, with 6-5 Jr. Rusty Smith returning under center after an awesome performance in 2007 (3688 passing yards w/ 32 TDs & 9 INTs), nobody in the country could've predicted the Jacksonville native would be entering the 6th game of the season having completed less than 50% of passes with only 4 TD & 7 INT. All that being said, after playing on road against Texas, Michigan St., Minnesota, and Middle Tennessee St thus far (all losses), the home-cooking might be exactly what the doctor ordered…or maybe not. Do as you please, but this degenerate is taking the night off...even though I want to tease the Owls up to 10 with the unda! While Greggy G is a self-proclaimed genius, I'll admit I've had my fair share of Fantasy Busts this season! Just like her necklace, I thought I was a lock for fantasy football championships this season! You'd think Maroney would follow in his brothers footsteps and put on a nice performance! Early in the year, DeSean Jackson actually lookedbetter in green than Audrina...and then Reggie Brown returned! If this was Perry, the purse would be on the ground! After missing most of his professional career with injuries, the former Michigan star seemed poised for a breakout season…and Cincy seemed to think so too as they shipped Rudi Johnson to Detroit for a bag of shiznit. Since then, the Bengals and Perry have been awful as he’s fumbling twice as much as he’s scored and actually led Marvin Lewis to convince ownership to sign Cedric Benson. Seriously, how funny is it the Bengals insisted they were changing the culture all off-season only to resign Chris Henry and convince Ced it would be easier to handle his legal troubles on a team full of jailhouse cats! Just like the headmaster in Detroit…how the hell does Marvin still have a job!? Ced leaving the party boat for Cincy, means Chris is leaving my starting line-up for MFin Le'Ron baby! This week, Perry’s azz is on the bench as I give the inaugural start to one of the meanest S.O.B’s I’ve seen on the gridiron this season…Le’Ron MFin McClain! Especially against the undersized and awful DL of the Colts, Jimmy Harbaugh’s brother better let the 260-pound bruising back twice as many carries as Willis McGahee! I laid in bed w/ a bigger smile than this after drafting Randy Moss in both leagues...and then Matt Cassell happened! While Randy’s had two solid weeks, considering I picked him 1st in both leagues means he doesn’t make-up for my draft stretches in the running game. While Michael the Burner Turner has picked-up the slack better than I expected, with Maroney as my other high-draft back it’s basically a wash. 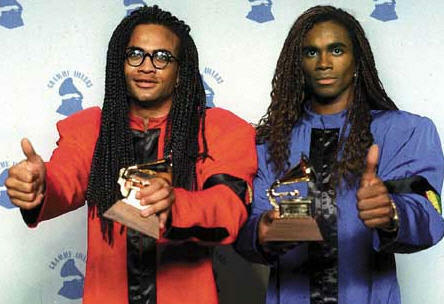 Seriously, with a contract on the horizon and flashes of brilliance early in his career, what the hell happened to Milli Vanilli look-alike. I also drafted Earnest Graham higher than most in one of my leagues, and while his rushing average is near the top in the league, for some reason as soon as he gets rolling Chucky decides to give the opponent a healthy dose of Warrick Dunn! This page contains a single article from October 7, 2008 11:46 AM. The previous days article was Monday Night ATS Magic by Greggy G.
The next days article was Home of Daily ATS Pigskin Picks & Luv.